Pretty ruby. Love that color on the bracelet. Fits right in with the lucky friends theme. I love this thread! Despite initial concerns, it seems that many of us have fallen in love with the clovers. 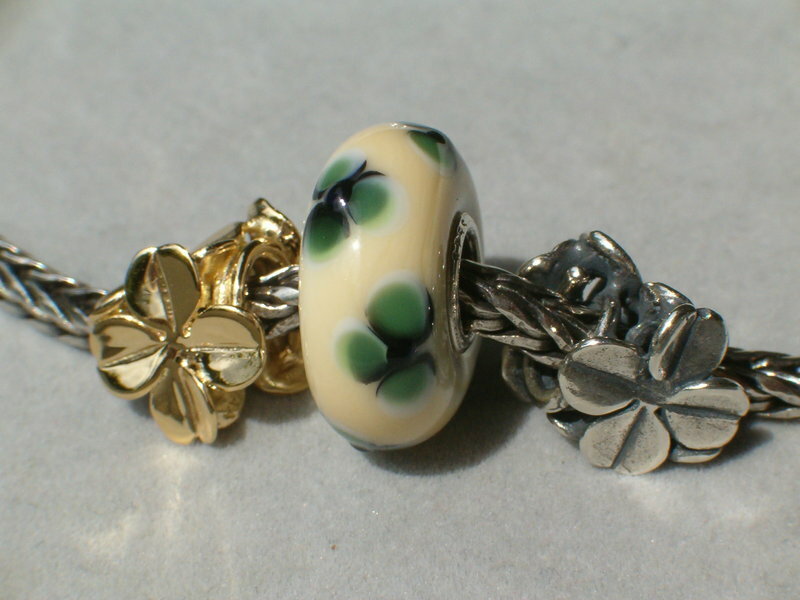 Clover bead, I'm so glad you got your gold clover!! Well done to all the winners of the boxes! And what a lovely Macedonian ruby, Trollperle! I had decided to buy another bracelet because I love it so much, this was two weeks after the TB Day. Amazingly I won a box too because I was the first one in the shop to have bought the bracelet!!! Oh dear, where has my resolve gone. I logged on today after being gone for many weeks to see these wonderful examples. These 40th Anniversary clovers are drawing me in. Everyone's bracelets are lovely. Initially I thought the bead would be too small. 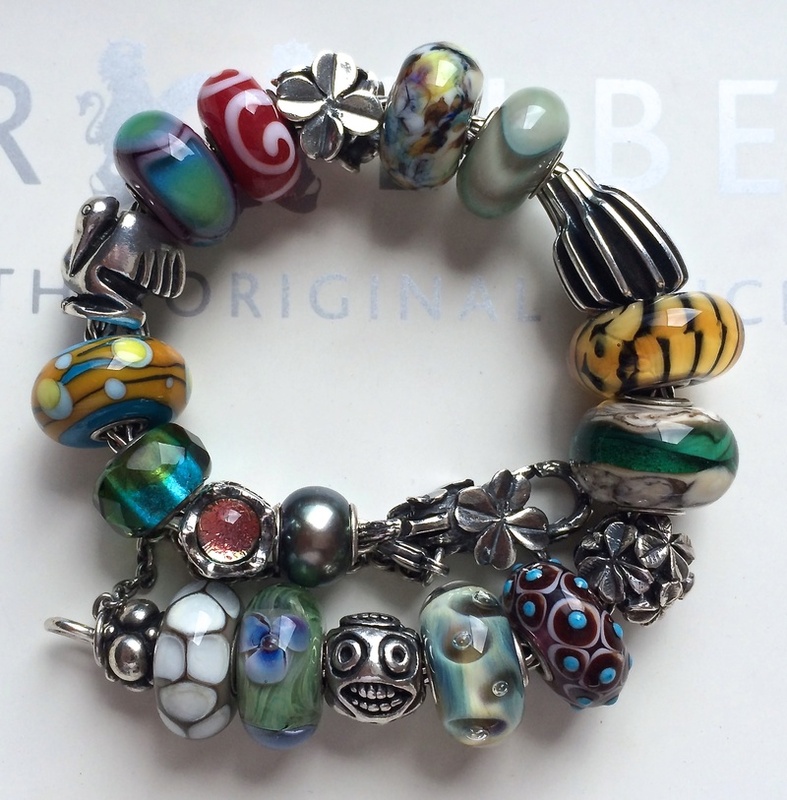 But it has great detail, the design really stands out and holds its own on everyone's bracelet. I made this one with the cloverset, loved to see all yours, thanks! Very beautiful, Tinka - I love how all the different greens come together in your lovely creation! Thank you Trollperle and Amanda. I know I wasn't here for quite a while, but I'm still loving & playing with the beads. And sometimes shopping beads as well, although not as much as I used to. How many beads does a girl need ? 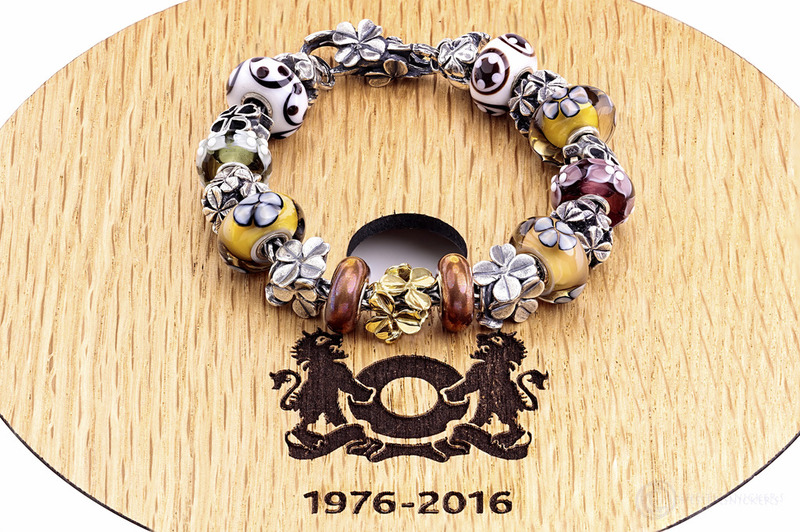 :-) Well I thought I needed the 40-anniversary bracelet. It's nice to see a lot of girls are still here, hope you all are still enjoying life & TB! Beautiful! You have great oldies Tatiana, awesome to see. beautiful Tatiana, very inspiring too, my beadbox is full of beads and I think I will re-do my bracelet using my oldie-treasures. @Fleur wrote: Just a simple mini combo for today.